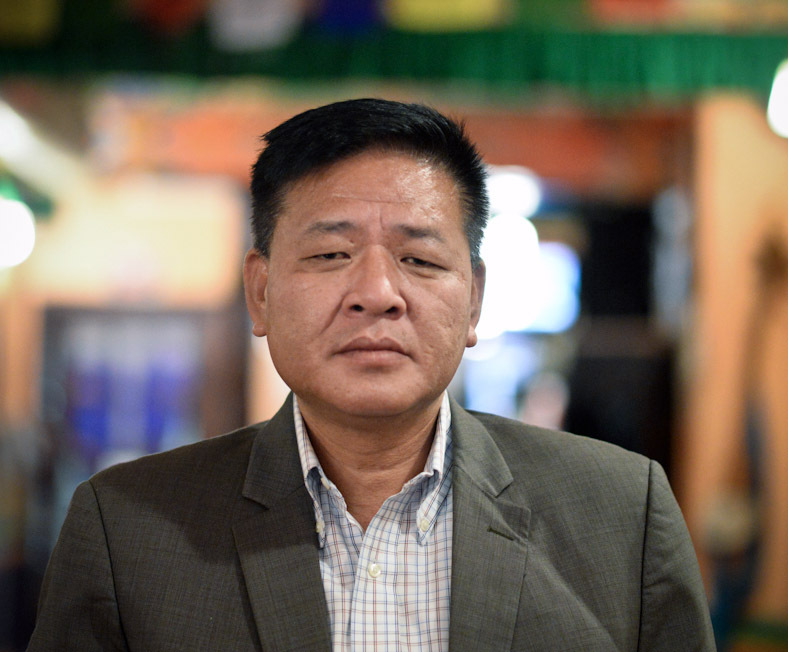 (TibetanReview.net, Nov21, 2017) – Representative Penpa Tsering at the Office of Tibet, Washington, DC, is reported to have rejected all the 10 grounds cited by the Kashag, the Cabinet of the Central Administration at Dharamshala, India, in a Nov 18 clarification for his removal from his post, vowing to challenge each of them after handing over charge to his replacement on Nov 30. The Kashag’s clarification sought to explain that he had been removed “due to growing trust deficit, underperformance and insubordination”. Penpa Tsering also hinted at filing a case in the exile Tibetan Supreme Justice Commission, saying the charges are unacceptable as he hasn’t committed any mistake, reported Tibetsun.com Nov 19. “I cannot publicly discuss the issue now as I am still bound by the rules. I will be free to speak after Nov 30, and I will challenge all the 10 points one by one,” the report quoted him as saying. The Kashag had announced on Nov 7 its decision to replace Penpa Tsering with the CTA’s Education minister Mr Nogdup Tsering with effect from Dec 1. A section of the Tibetan public protested against the decision, with some calling it a vendetta against a political rival of the current Sikyong in the 2016 exile Tibetan election, and demanded to know the reasons for his dismissal. And now, expressing dissatisfaction with the Kashag’s 10-point explanations, they have vowed to go ahead with their planned protest rally from Mcleod Ganj to the downtown Secretariat of the CTA on Nov 27. I understand from your point of view you wouldn’t like to lose of your job. Bear in mind if you are smart enough you should have remain loyal to Lobsang Sangay and with happily adhere to his direction and be cooperative with Sikyong in every possible way. After all LS is the Sikyong and we must respect. LS would not like challenging to his authority as like every leader in the world wouldn’t accept if his subordinate challenges to his/her authority. That is called chain of command which every system has. If you would have remained loyal and cooperative with LS and kashag, it would be your best interest and it would be your credibility. Once current Sikyong’s terms is over, perhaps you may be the next promising candidate for Sikyong’s post. But unfortunately you blew it up that your every opportunity laying ahead. Now people are aware of you are capable or not. While you were speaker of exiled parliament, you did not like some MP challenged to your authority as speaker and one of MP had openly accused you in the meeting in full view of MPs and ministers and Sikyong. You should have use that own experiences how you felt as speaker of the parliament when one MP challenged to your authority and now you challenged Sikyong while you were representative of Kashag in DC office, what will be in Sikyong’s mind? Having said that still you may have some hope some where a good position and I wish you all the best. Oh please cut the crap with this good luck and all!! Penpa Tsering was appointed personally I mean personally by His Holiness The Dalai Lama!! Not by anyone but by his holiness himself! This much is enough for us to convince that he is a good and trustworthy person! On top of it he has been representative of tibetan parliament in exile for so many years! He is a person who has served his all life for betterment of Tibet and all of sudden this distrust crap that kashag is talking about?? What do you think it is? He is honest therefore his holiness chose him!!! He spoke right about those $1.5 million and therefore they dismiss him with those unbelievable 10 reasons!! And see he is ready to prove his innocence while others just shamelessly sit up there deceiving people! Well Karma will surely hit those kashag for being unfair to Penpa Tsering LA… For deceiving all of Tibetans…for misusing power… And I am sure his holiness surely might be disappointed by Kashag and sikyong!! But we will fight for justice and won’t let these misuse the power given to them by us!! Definitely not! !